Welcome to Casa RV Park! 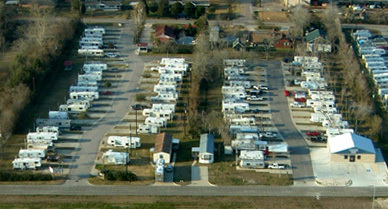 Casa RV Park is a very nice facility with paved roads and large concrete pads. The grounds are kept clean and neat. Free Cable TV and WiFi. Telephone connections are provided at each site. Mailboxes are provided by the office. Propane and storage are available. Laundry facility with wash, dry and fold also available. We are located just minutes from the many petro-chemical facilities in our area. We are near shopping, hospitals, restaurants, etc. Our rules are enforced to ensure our park remains nice and quiet for our guests.